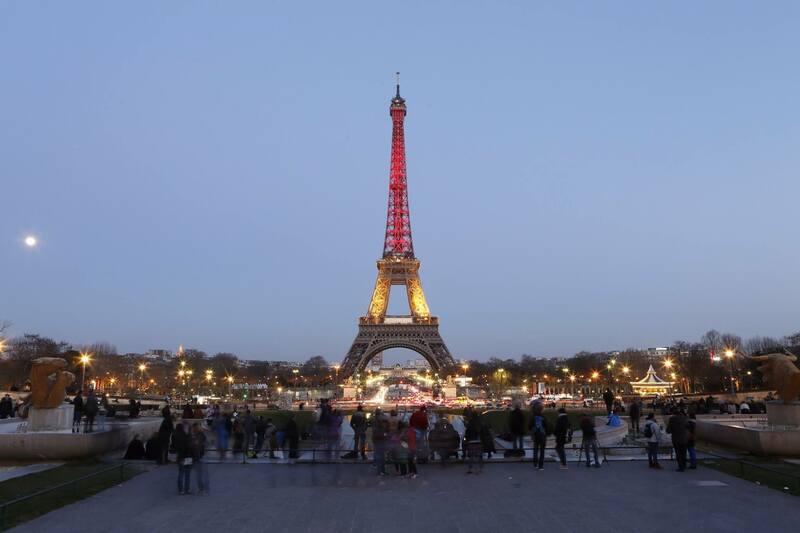 Following Tuesday’s terror attacks in Brussels, Paris Mayor Anne Hidalgo announced that the Eiffel Tower would be lit up in black, yellow, and red, the colors of the Belgian flag. The color of the tower shows France’s solidarity with the victims. In Dubai the Burj Khalifa was also coloured in the Belgian flag.